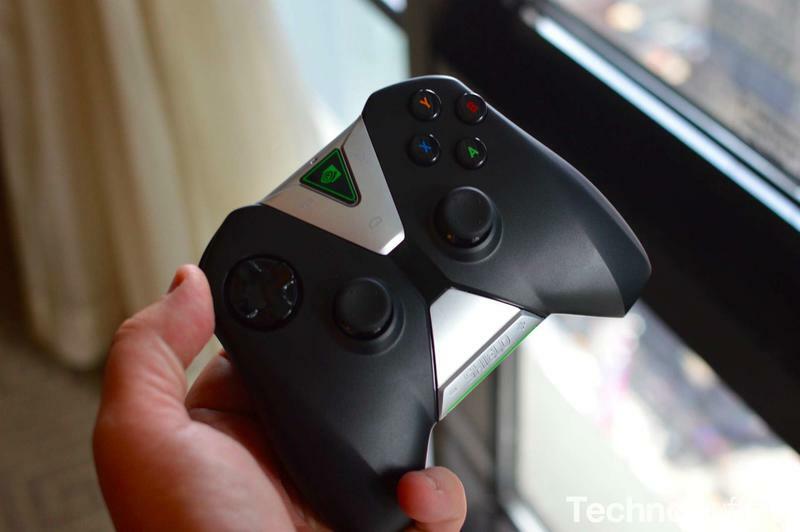 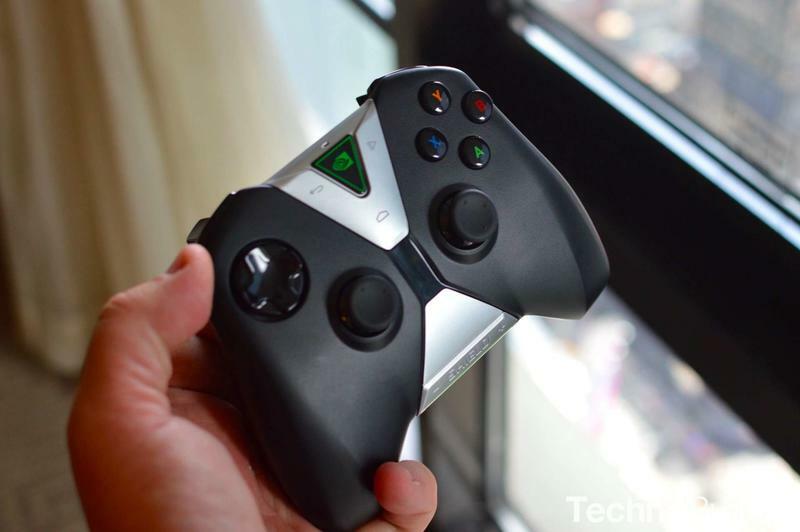 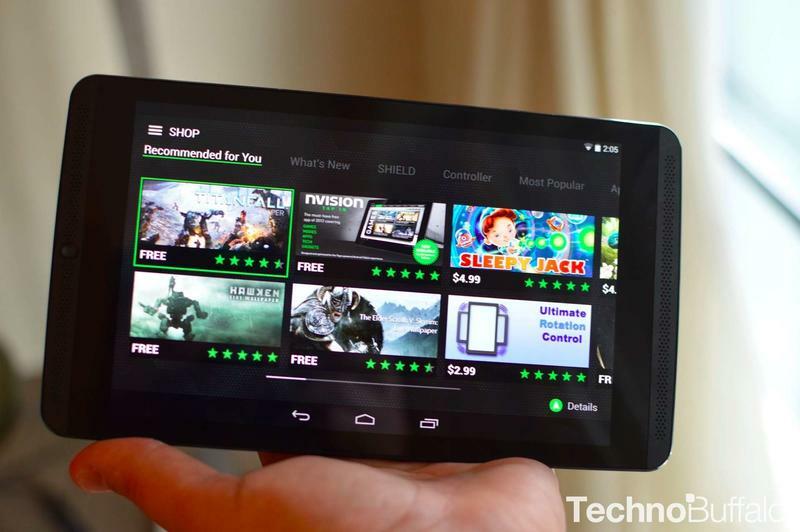 NVIDIA just announced the NVIDIA SHIELD tablet and we’re already here with our hands-on of the brand new gaming slate. 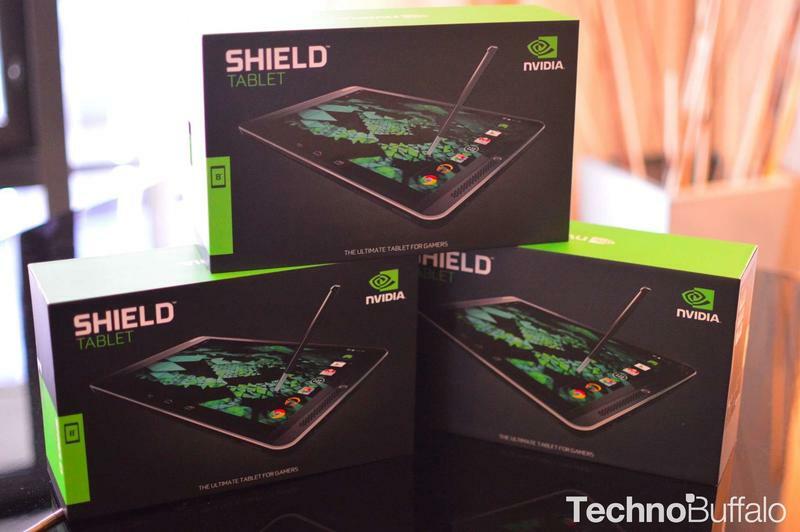 It joins a new SHIELD controller and the existing NVIDIA SHIELD to fill out the entire family, and it’s one of the most impressive tablets we’ve played with in recent memory. 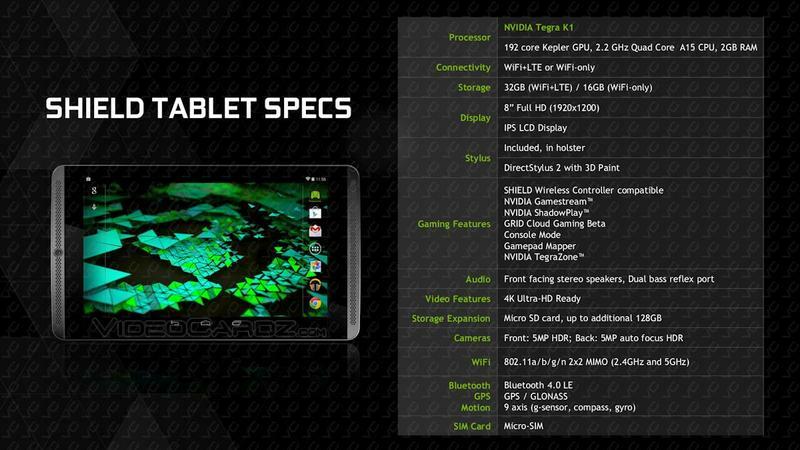 First, some specs: the device is powered by NVIDIA’s Tegra K1 processor, sports a brand new stylus that’s 2x more responsive than the last one, offers an 8-inch 1920 x 1200-pixel display, front-facing stereo speakers, a 5-megapixel front-facing camera for Twitch streaming (more on that in a bit) and a similar 5-megapixel rear-facing camera. 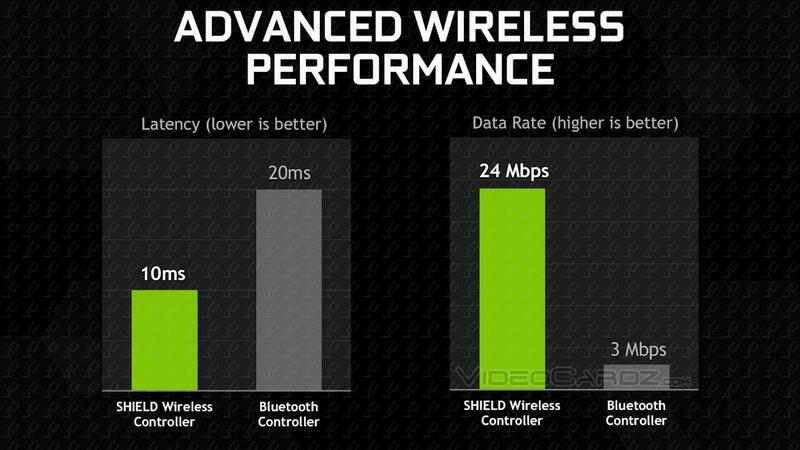 The $299 model ships with 16GB of expandable storage, while a more expensive 32GB option will ship for $399 and includes both Wi-Fi and LTE radios (T-Mobile and AT&T LTE bands). 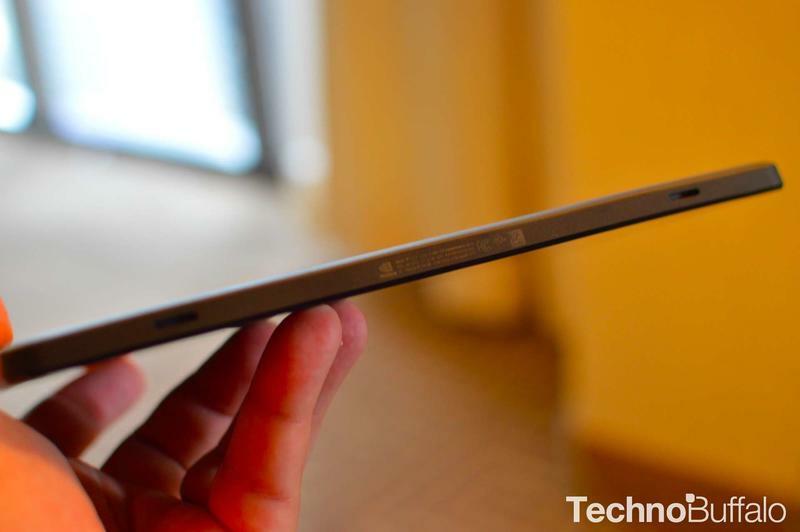 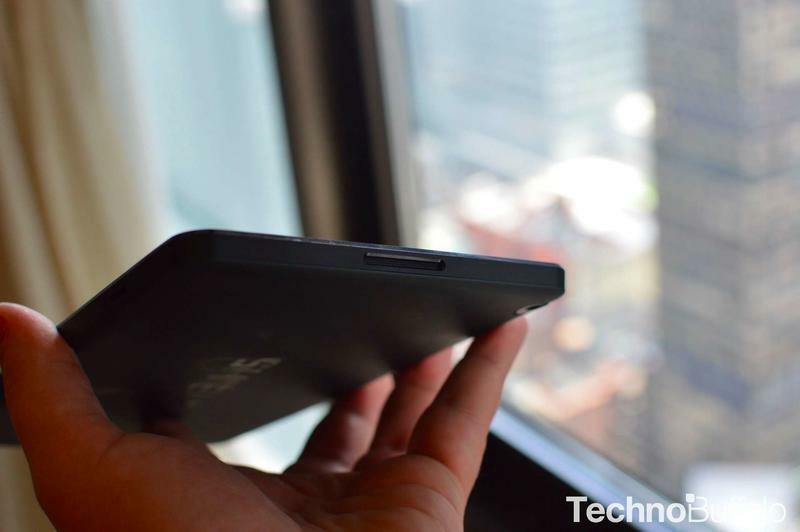 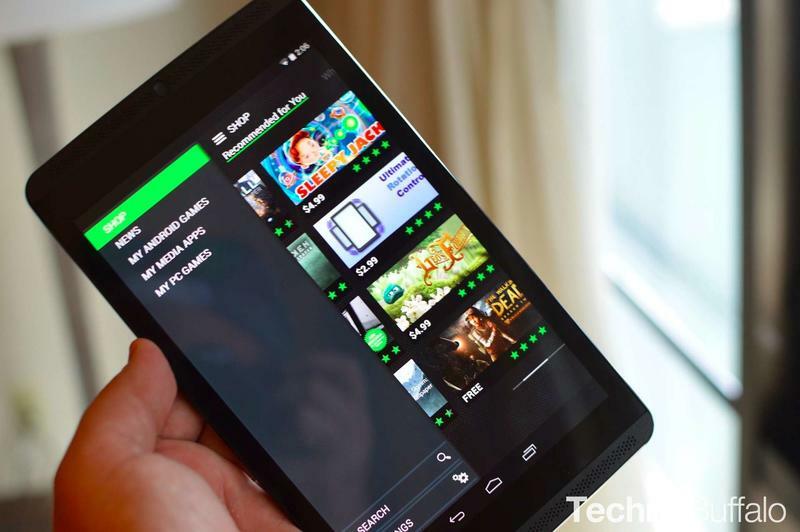 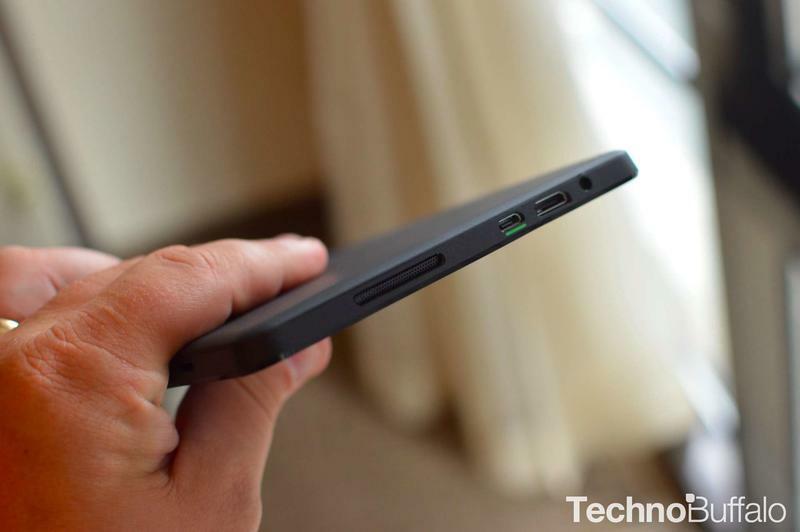 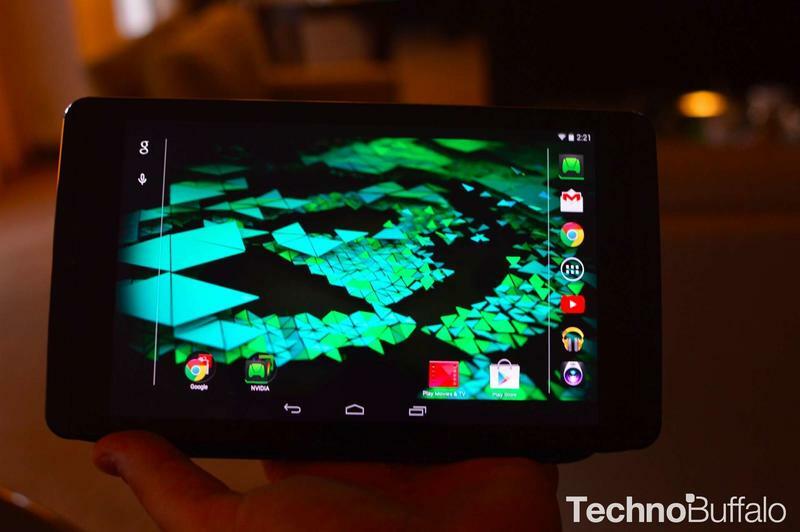 We had a chance to check out the Android slate and walked away super impressed. 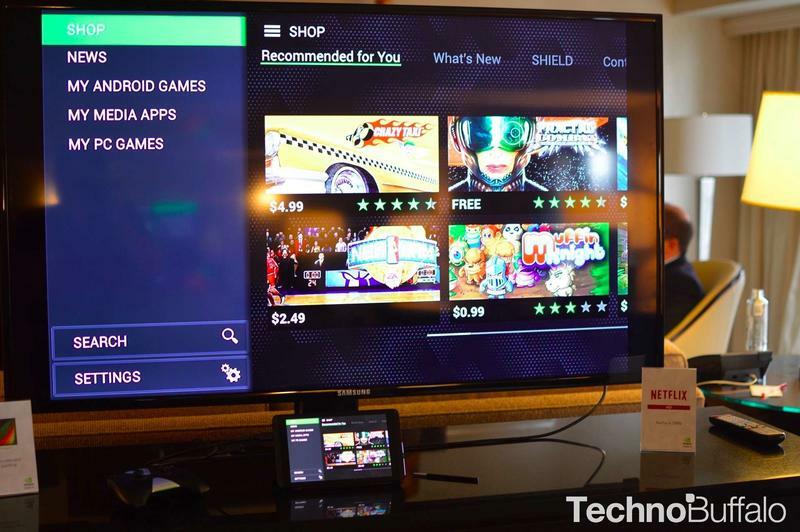 The company has rebranded Tegra Zone as “SHIELD Hub,” and it’s where you’re going to find all of your games, whether they’re Steam titles, GameStream games or Android titles. 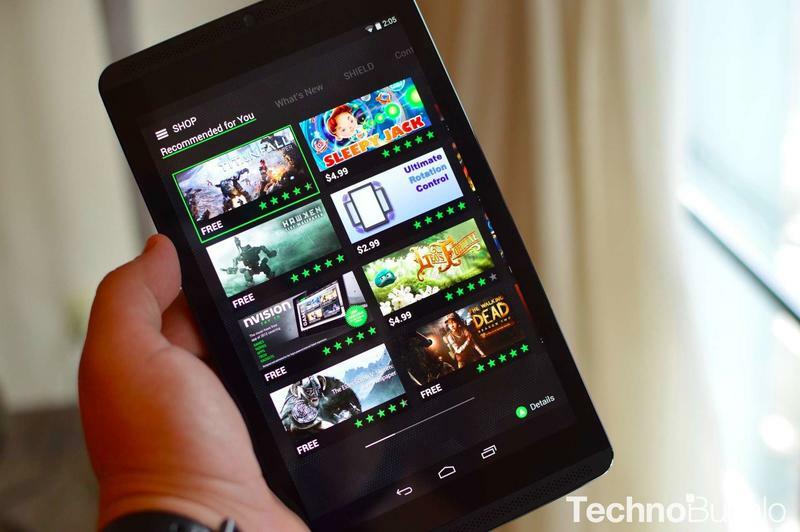 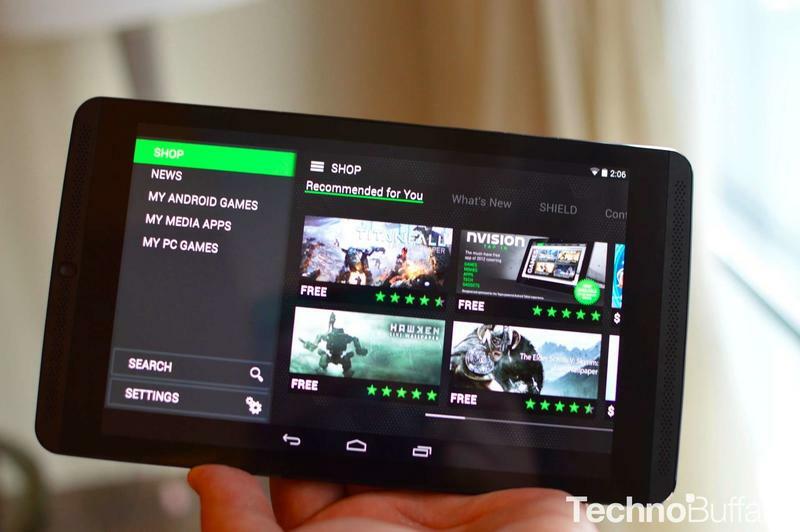 In total, there are now more than 400+ Android games with support for the SHIELD Tablet and controller, 120 GameStream games and 16 titles in NVIDIA Grid. 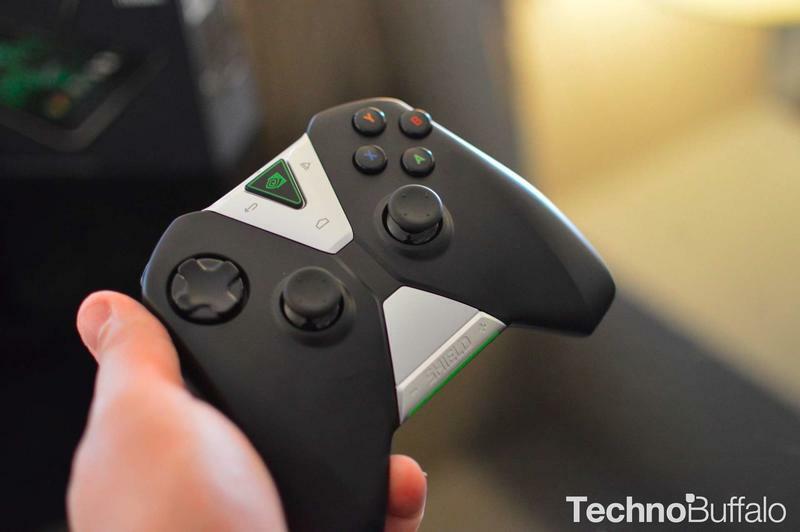 That means you’ll be able to stream full-fledged PC games like HalfLife and Portal, in addition to hits that were developed with special support for the SHIELD Tablet, like War Thunder previously reserved for consoles and PCs, and Trine 2, which comes pre-installed for free. 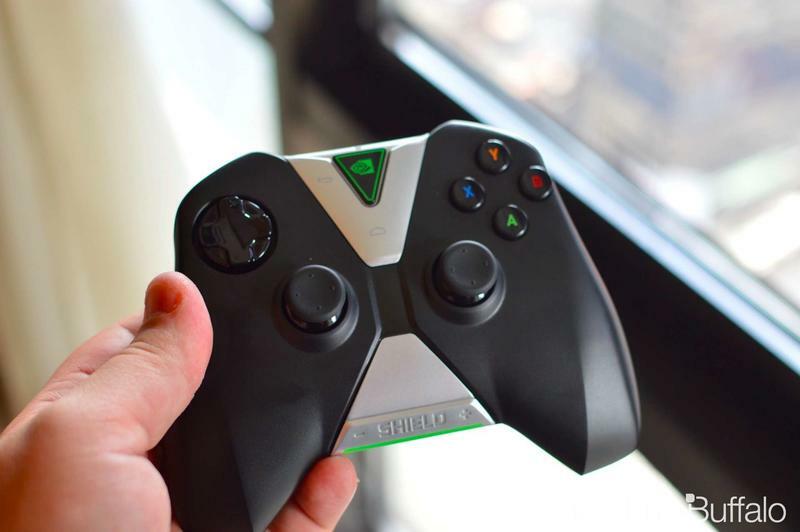 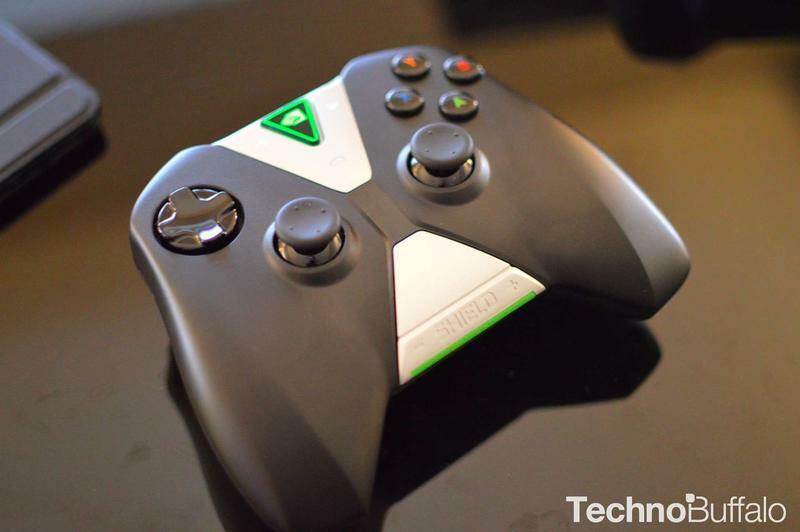 We gave both of those titles a whirl using the new NVIDIA SHIELD controller and an HDMI cord out to a full HDTV. 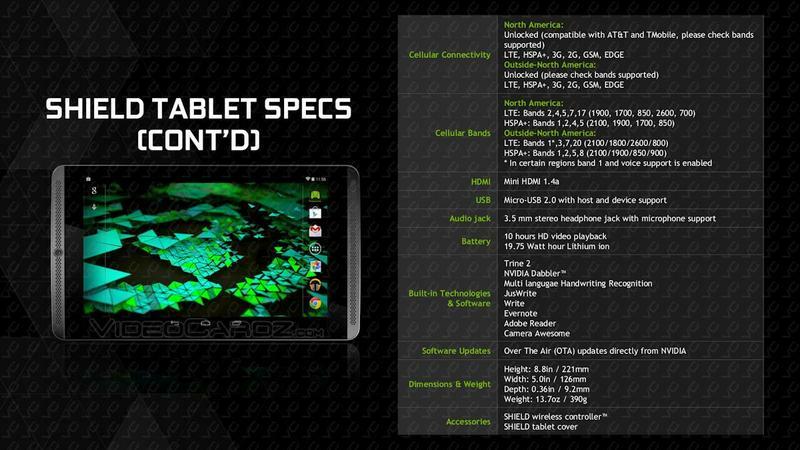 Both looked amazing, and it was hard to believe this power comes out of a tablet. 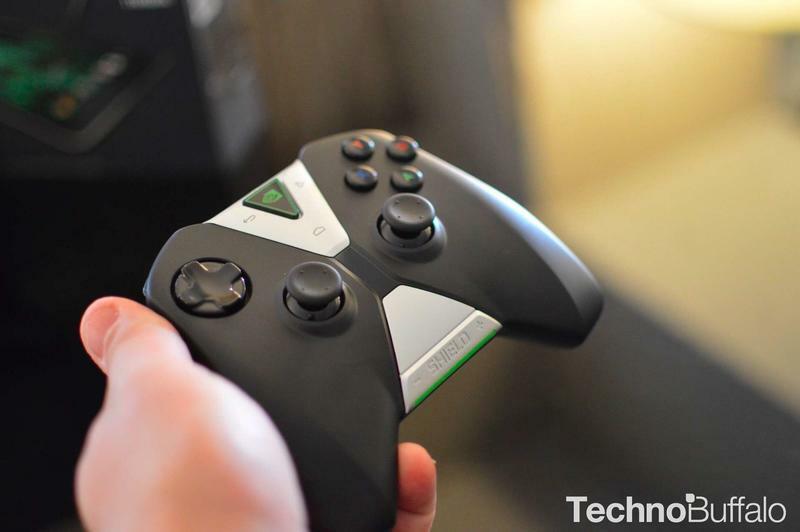 It definitely looks like console-worthy graphics, at least in our opinion, and NVIDIA even added other bonus features. 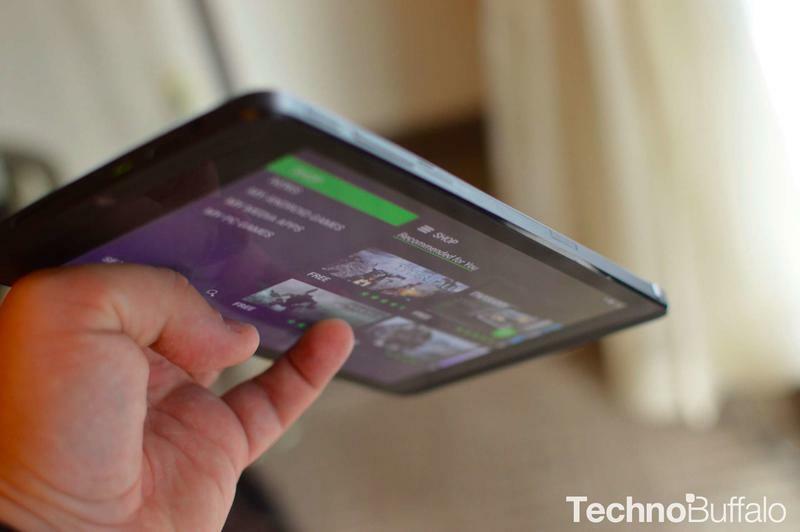 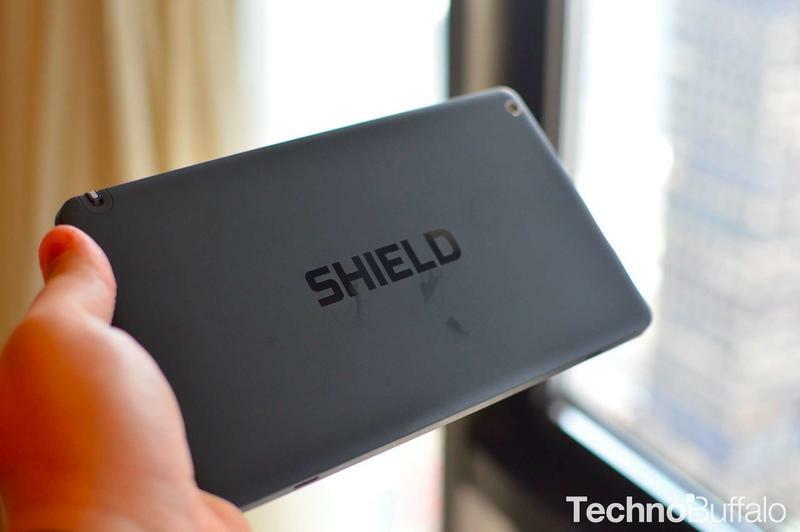 Gamers can Twitch right from the SHIELD Tablet, for example, using the front-facing camera. 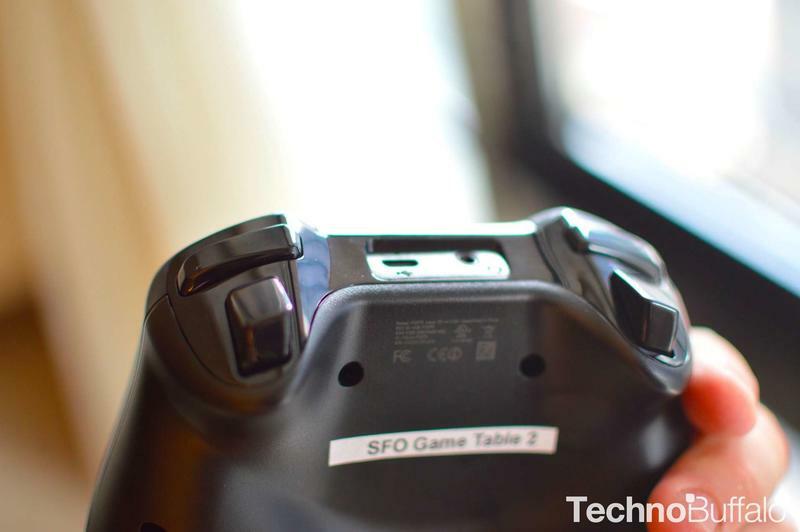 You can plug headphones right into the 3.5mm headphone jack on the controller to provide commentary, too, since the controller is able to send voice data down to the tablet through a Wi-Fi Direct connection. 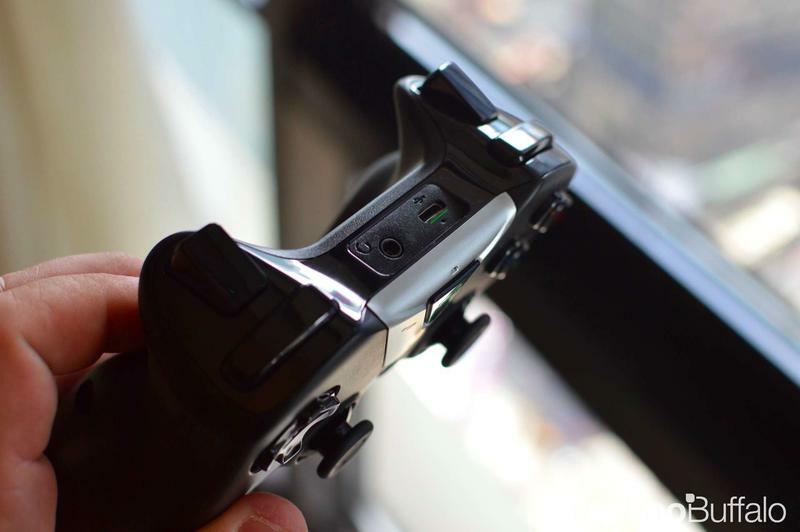 We’ll let you check out our video demo for more information, and be sure to check out our gallery below, too. 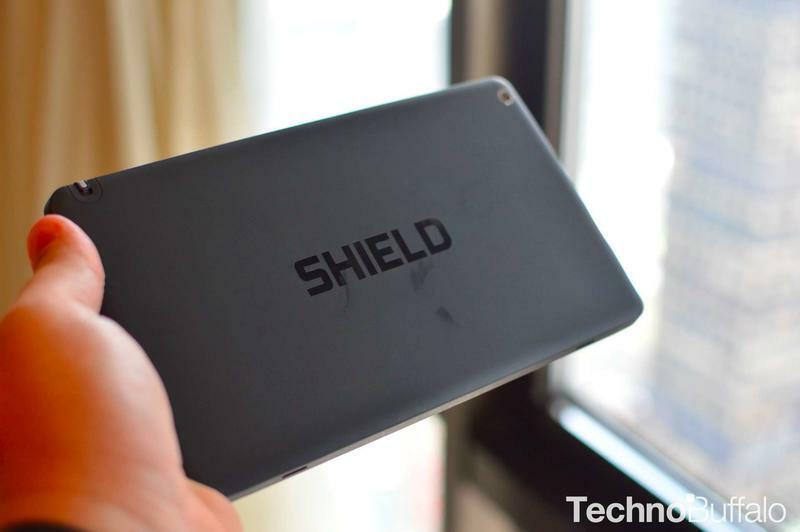 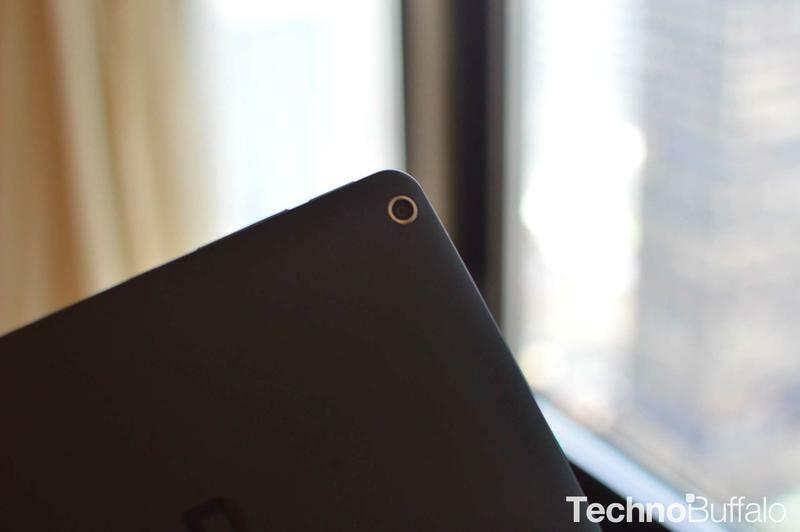 The SHIELD Tablet hits July 29 in the U.S. and Canada, but pre-orders start today. 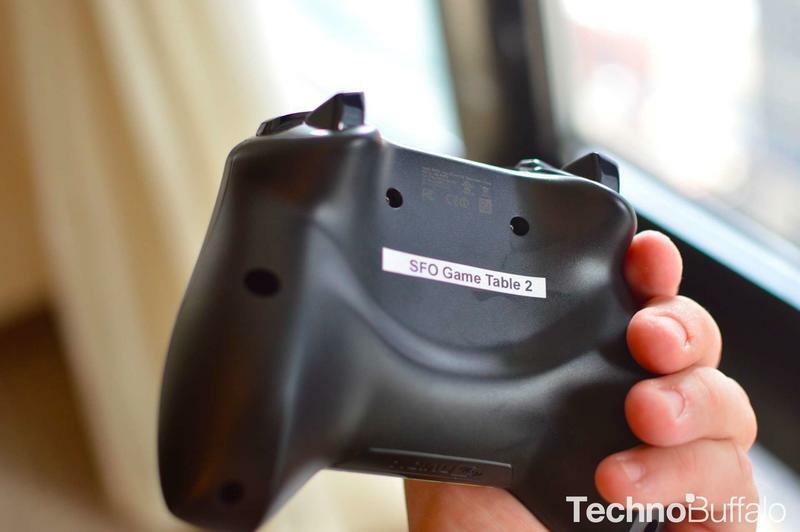 It will launch in Europe in mid-August and around the world in other markets starting this fall. 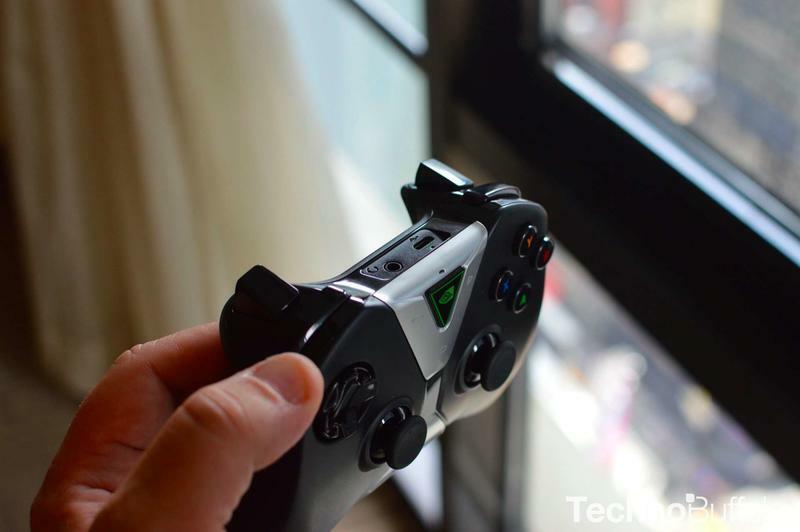 The controller will retail for $59 and a special cover will set you back an additional $39.